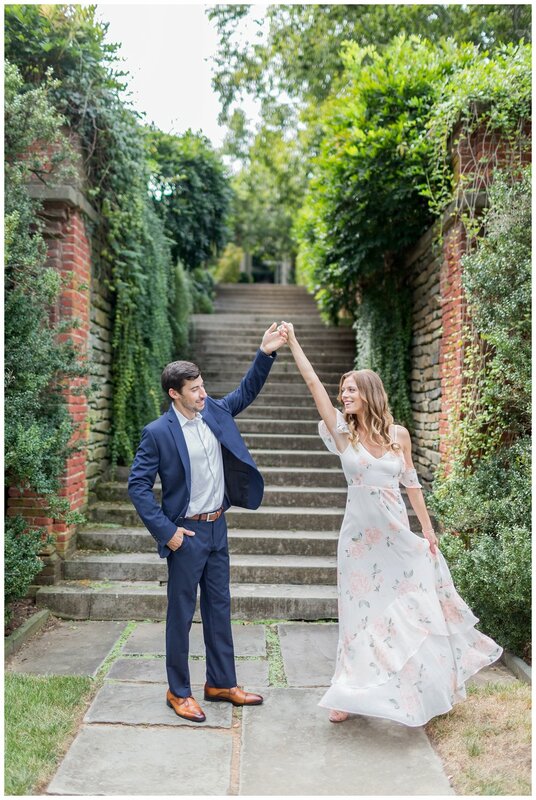 A darling engagement in a secret garden?! YES PLEASE! 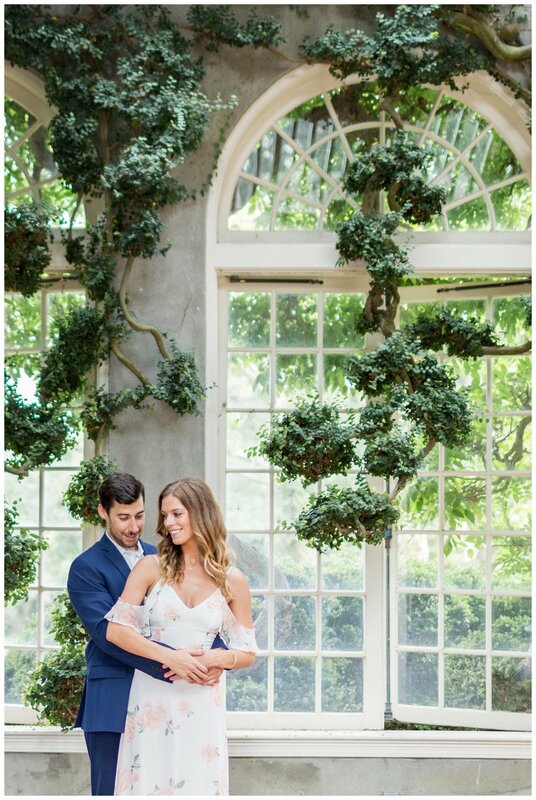 Rachel and Brian were the perfect compliment to this DC backdrop. The first day we attempted engagement photos, we were met with crazy rain so when clouds were in the forecast for our rescheduled session, Rachel and I of course texted back and forth with our fingers crossed…. We eventually ended up having nothing but even light at Dumbarton thank goodness! These two have been together for over 5 years! Can you believe it!? Brian ended up proposing while the couple was beach vacationing and it was an easy YES for Rachel! After many years and fun adventures together, these two are planning an elegant Great Marsh wedding for next May! 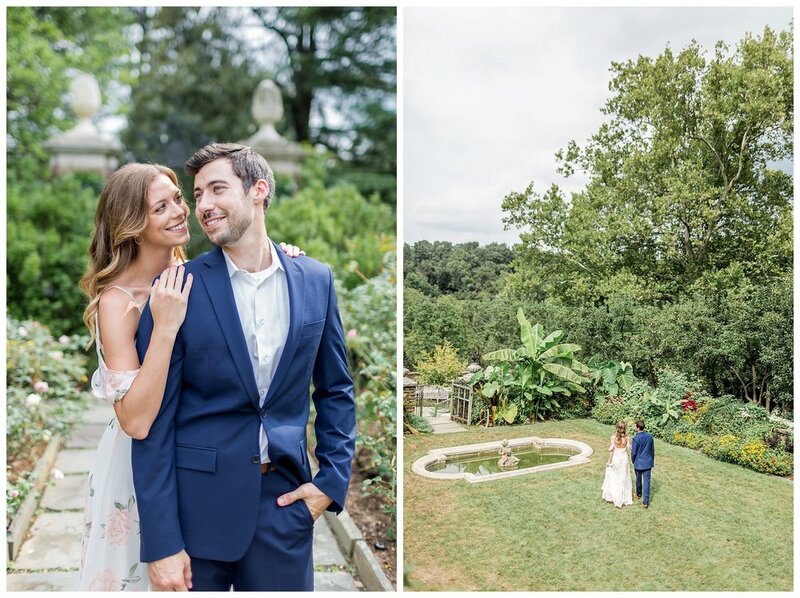 I can’t wait to see their Just Married smiles on their perfect spring day! Here are my favorite shots from their classic DC engagement session.